Now all my heavy weapons has a nice spot in my army transporter. 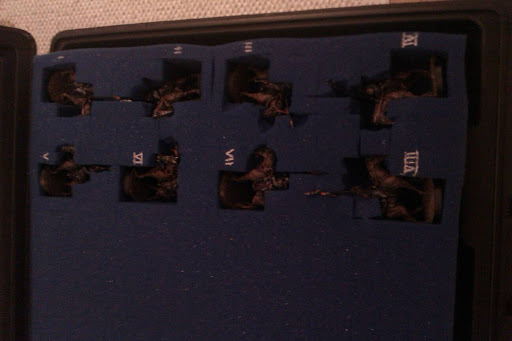 Also my Death Riders has a place in the case. But I'm in a little dilemma, I have eleven horses but don't know if I need to bring them all and save the space for something else. 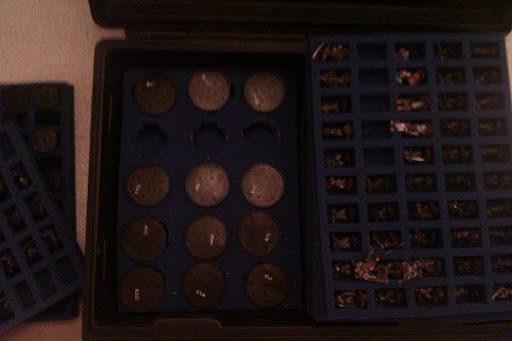 The best thing with the new foam trays is most of my army is now in the same case and I don't have to put two minis in the same hole. Sorry for the lousy pics. Combination of a bad camera and a dark time of the year.